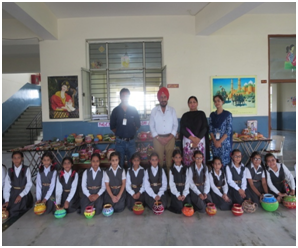 An Inter Shivalik Kavi Darbar competition was held in Punjabi .The topics taken up were technology,nature, patriotism,colours and parents love. The participants presented beautiful poems portraying their ideas. Everybody enjoyed with enthusiasm and zeal.